09020501~ click this link for an audio version of the sermon. Until that day when the anointer of Kings, the high priest Samuel comes to visit. He comes in secret, bringing with him a heifer to sacrifice but they soon learn this is a ruse. Samuel has come to see David but first he must see all the others. First he must see the big and strong, the handsome, strapping lads that Jesse has to offer. First he must see exactly what he had expected to see when he came out there and learn that his expectations are wrong. Samuel must see beyond his expectations to the breaking in of the kingdom. For certainly there is a breaking in of the kingdom when the runt of the bunch, the unheralded, unconsidered, unwanted lover of poetry and music, the one who’s first intimate relationship is with Jonathon, this outcast, reject, maybe a passing bear will kill him and rid me of this effeminate son, is truly seen. Is seen as God sees and not as we see. Is seen and chosen. Imagine the confusion when this one is chosen and not the others. Jesse, later to his wife, “I think Samuel’s lost it. Unbelievable that I could show him all of our fine, tall, strong sons and he looks at them and just shakes his head no. How are we to understand this? That God would choose that weakling of a boy over the others? He told me I must be hiding one and honestly I was. I sent that one out to the sheep so the neighbors wouldn’t see him prancing about. I had hoped it would make a man of him. “ David is the underdog, the abandoned child. He is the one who is unseen even by his parents who conveniently forget him out in the fields. There is incredible power in being seen and incredible insult in being overlooked or seen wrongly. Insult not in the common use of the word where someone with malicious forethought tries to inflict injury, but insult in the actual wounding, the actual leaving of a mark on one’s heart and soul. We do not simply crave to be seen for who we are, we need it. A healthy mother will hold her child face to face, smiling into the infants face and say over and over, “I see you! I see you, you beautiful child!” and over time the child learns from this that they have worth, they have value that is intrinsic to who they are. Cut off from the beauty of being seen we become vulnerable, even sickly. Our hearts and souls begin to twist and we struggle to find solid ground to stand on. 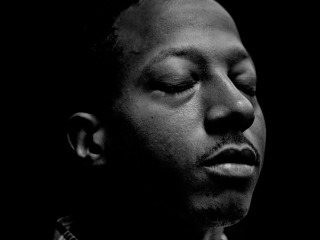 Kalief Browder lost that solid ground during his two years in solitary confinement on Riker’s Island. Although he knew he had done nothing wrong and was never charged with doing anything wrong, he could not hold onto his sense of self during that time of abuse and isolation. Even when returned to his parents after three years of being detained he could not find that solid ground. Although his parents and others gathered around him, saw him as best they could, his despair was overwhelming and just last week he took his life. Kalief was invisible to our society and there was no Samuel to anoint him and tell him that God sees him. There was no Jonathon to love him and keep him safe from the crazy abuse he suffered. It has been years since Ralph Ellison’s Invisible Man was published but we still struggle to see one another and this seeing is so vitally important. We all know what it is to have someone see you as something you are not; perhaps to see you as rich and snobby, or to see you as incapable and incompetent, or perhaps to simply not see you at all, as if you did not matter nor have any voice. It’s deeply unsettling and it drives an urge in us to shout out, “Hey! See me! I’m right here, I’m not like that!” whatever that is, it isn’t us. The sad sack of a janitor in the play Chicago sings his lament, call me Mr. Cellophane because, “You can walk right by me, look right through me, never even know I’m there.” Who are the unseen people in our society today? Who do we struggle to see for who they are? In all their glorious humanity? Kalief, alone in his cell, might have prayed like this, ”God, do you even see me? Does anyone care that I am alone in here? I feel so alone. I try to believe it will all be OK but honestly, I’m beginning to give up. I don’t understand why no one cares. Please God, let me know that someone cares, that someone can see me.” But no Samuel came to anoint him, to tell him that God does see you, that you have immense worth and value, and without this seeing Kalief slipped away. There are those among you who know those moments when you felt seen, really, truly seen. Those moments when someone greeted you at the door and said, “God has sent you here for a purpose,” and something inside you came to life in that moment. We have been called just as Samuel was called, to see and affirm the precious children of God all around us. We too are called to say, not only your bright and beautiful, your tall and strong, but show me the children you yourself struggle to see. Show me the small and easily forgotten, show me the uncomfortable and overlooked, that I might see and affirm them too. Our calling is to see the beauty, the fullness of the image of God, in others when they cannot see it themselves, when others cannot see it, and to proclaim to the world that this too is a child of God. It is a beautiful and sacred calling; how amazing that we have been blessed to see the image of God in each person we meet. How wonderful that we have been blessed to affirm the beautiful, God-given, sacred nature of those around us. Previous postWho is My Family?